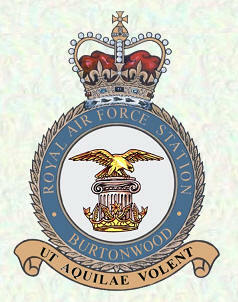 Burtonwood air field (RAF Burtonwood and Burtonwood AHP, ICAO: EGOB) was an airfield 270 kilometers northwest of London. 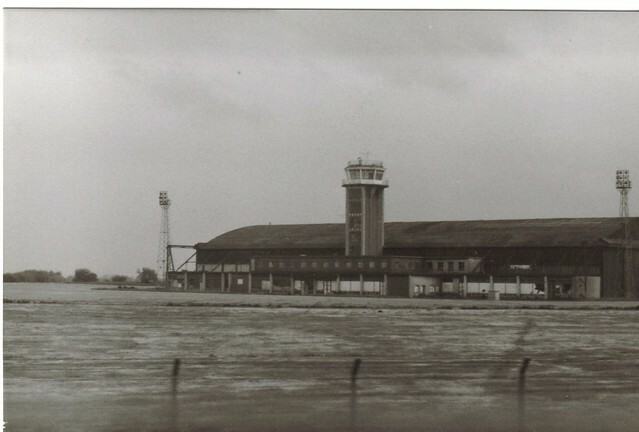 The airfield was built between 1938 and 1940. The RAF began to use the airfield in April 1940 as the countries Aircraft Storage Unit run by 37 Maintenance Unit. 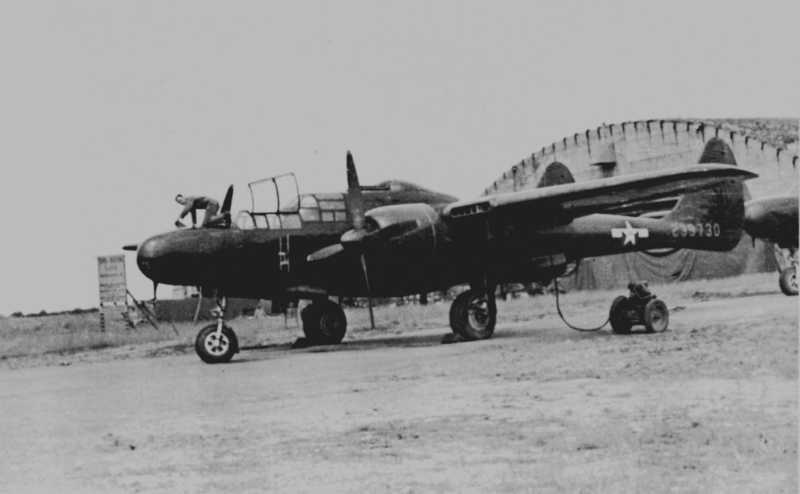 Burtonwood also came to specialise in the preparation, maintenance and repair of American aircraft, many of which were supplied under the Lend Lease program. 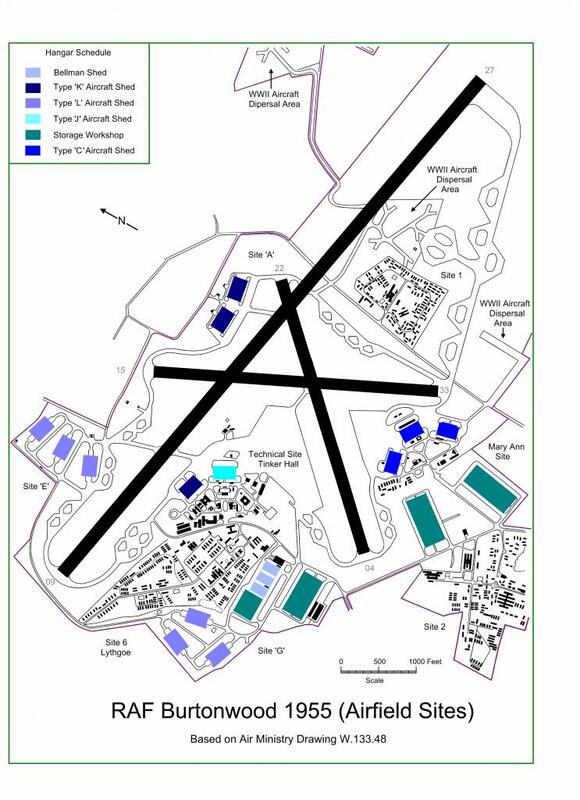 After a search of suitable sites for USAAF Base Air Depots, Burtonwood was chosen as one of three. USAAF took joint charge of the site on 11 June 1942 and complete charge in October 1943. 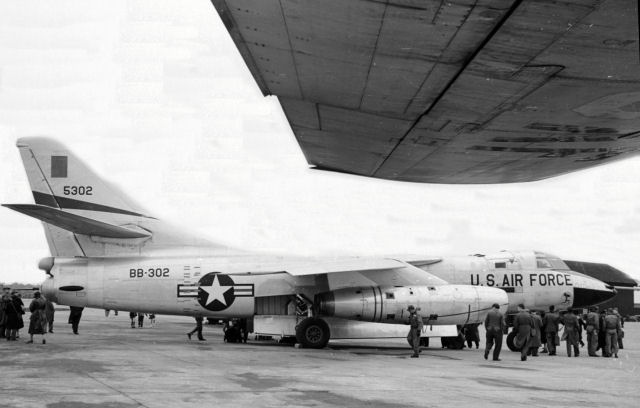 To the Americans, Burtonwood was also known as Base Air Depot 1 (BAD 1). The purpose of the depots was to prepare, assemble, overhaul and repair USAAF aircraft and their systems. 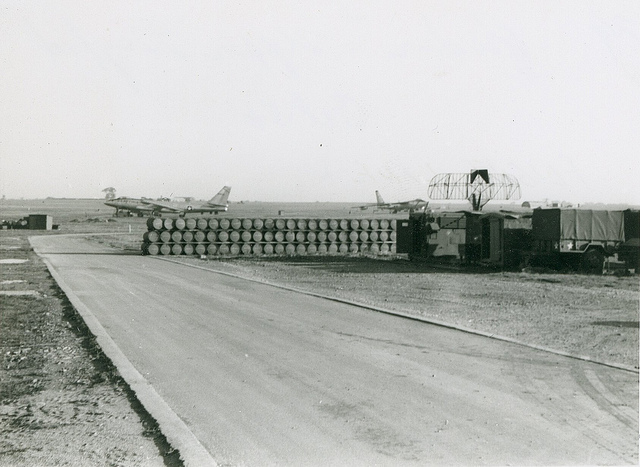 Many of these aircraft had been damaged in battle, and the depot also supplied spare parts to the squadrons. 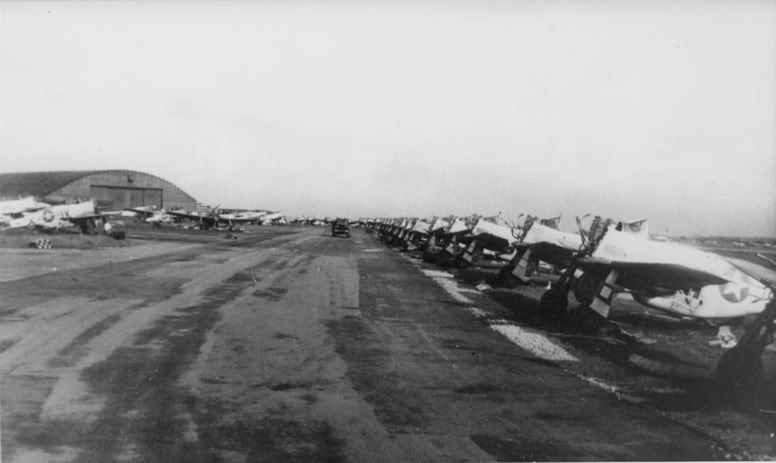 As the war progressed the airfield was extended several times. By September 1942 a new main runway 09/27 had been added and by January 1944 the base had a strength of over 18,000 US airmen. Circa 1941-1942: Oblique aerial view of RAF Burtonwood, Lancashire from the north. The Technical Site can be seen on the right, and A Site in the left foreground. No. 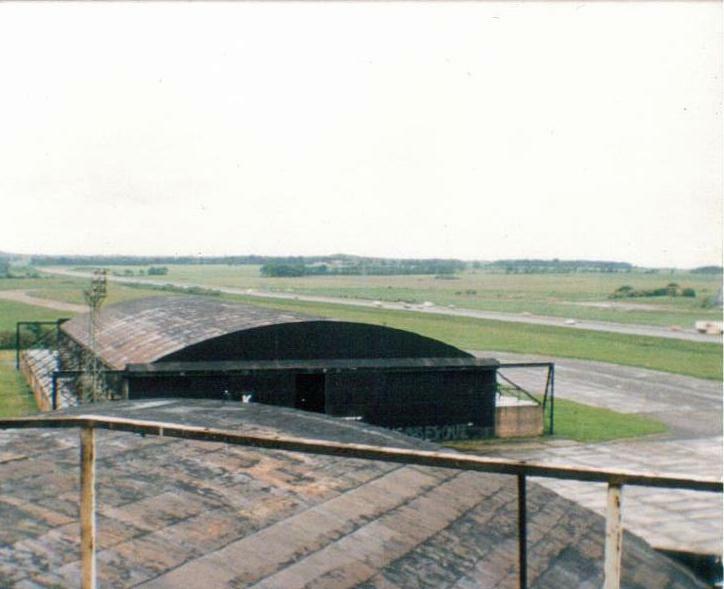 37 Maintenance Unit, the Burtonwood Repair Depot (BRD) and No. 21 School of Technical Training RAF are in the left background, linked by a taxiway to the Mary Ann Site at the south end of the airfield. The villages of Penketh and Great Sankey and, behind them, the River Mersey, can be in the distance to the right. After World War Two ended, Burtonwood ran down as a USAAF base and in June 1946 it was returned to the RAF for two years as a maintenance unit. In November 1946 six B-29 Superfortress bombers from the USAAF's Strategic Air Command - 43d Bombardment Group were sent to Burtonwood. From there thewy were sent to various bases in West Germany as a "training deployment". In May 1947 additional B-29s were sent to Burtonwood to keep up the presence of a training program. In reality, these deployments were a cover-up, as the true aim of these B-29s was to have a strategic air force permanently stationed in Europe. 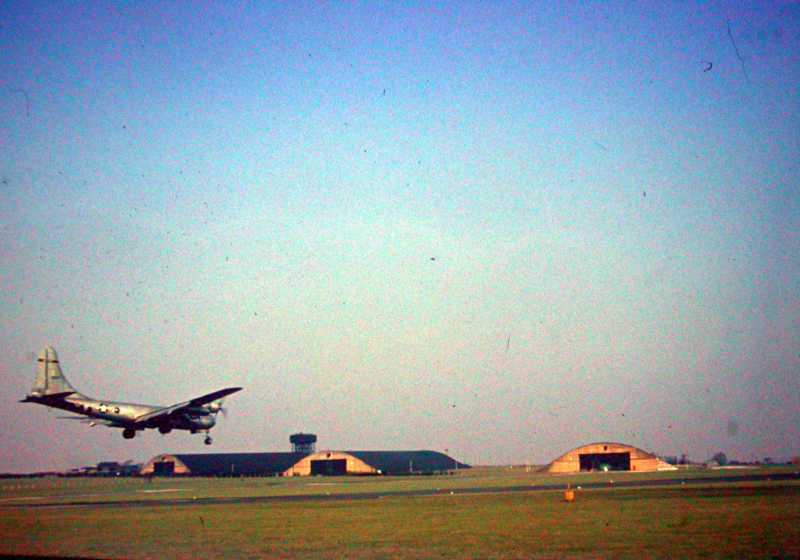 Burtonwood was reverted to the USAF in 1948 to support US European bases and it undertook the entire major servicing for the C-54 Skymaster aircraft involved in the Berlin Airlift. Major redevelopment took place with the construction of the Large warehouse ('Header House') on Site 8. In spite of local opposition a plan was carried out to extend the main runway to 9,000 feet to become one of the longest in the UK . The opposition arose because the extension led to the closure of Burtonwood Road. During this time, construction of the new control tower and passenger terminal also took place. The new building became known as the Gateway to Europe, because RAF Burtonwood was to be the first sight of Europe for most servicemen and their families. RAF Burtonwood grew to handle the arrival and departure for many millions of pounds of freight each year. In addition, it also received US service personnel and over 6,000 of their dependants each month. 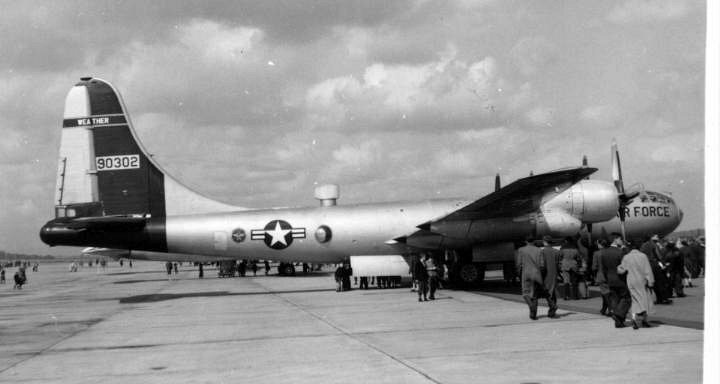 The 53rd Weather Reconnaissance Squadron, flying WB-29s, moved to Burtonwood in November 1953. They were assigned to collecting weather data for MATS (Military Air Transport Services). Each day they flew triangular patterns known as 'Falcon Flights', covering about 2,600 miles and averaging 16 hours per flight over the Atlantic. Other patterns, called 'Delta Flights', left each day at 0700 GMT and flew a track to the Azores, then South of Greenland, and then set course East, back to RAF Burtonwood. A "Delta Flight' was 3,686 miles long and the average flying time was 15 hours. The weathermen on the aircraft recorded data such as: pressure, temperature, wind speed, humidity, cloud conditions and visibility. Afte a few years, their WB-29s were replaced with WB-50D aircraft. 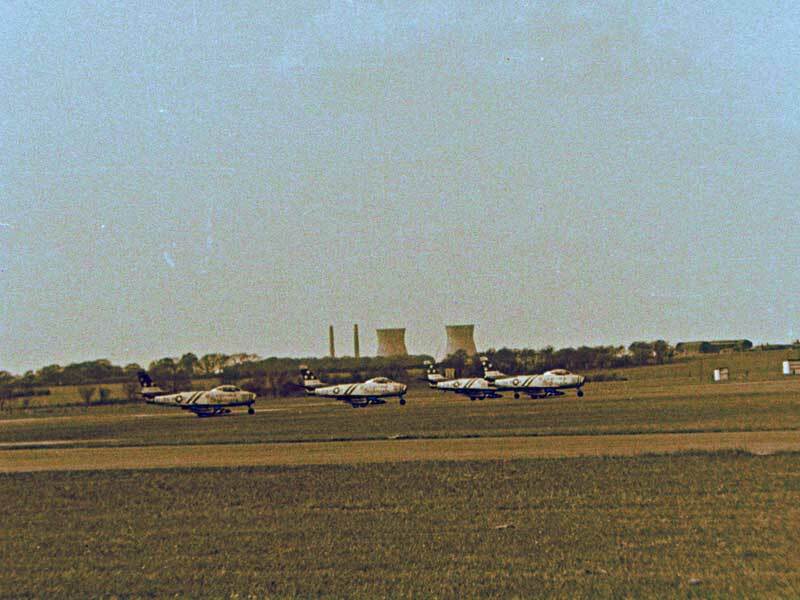 53 WRS left RAF Burtonwood for re-assignment to RAF Alconbury in Cambridgeshire in April 1959. In 1959 635 Gliding School opened to give flying experience to cadets from the Air Training Corps and to the RAF section of the Combined Cadet Corps from local schools. In 1965 the base was passed back to RAF control. A WB-50D weather reconnaissance bomber returing from a mission in the mid-1950s. Notice that I mirrored the photo, as the lay out of the hangars at the E-site on the map below appears to be reverse of the original photo at smugmug.com. 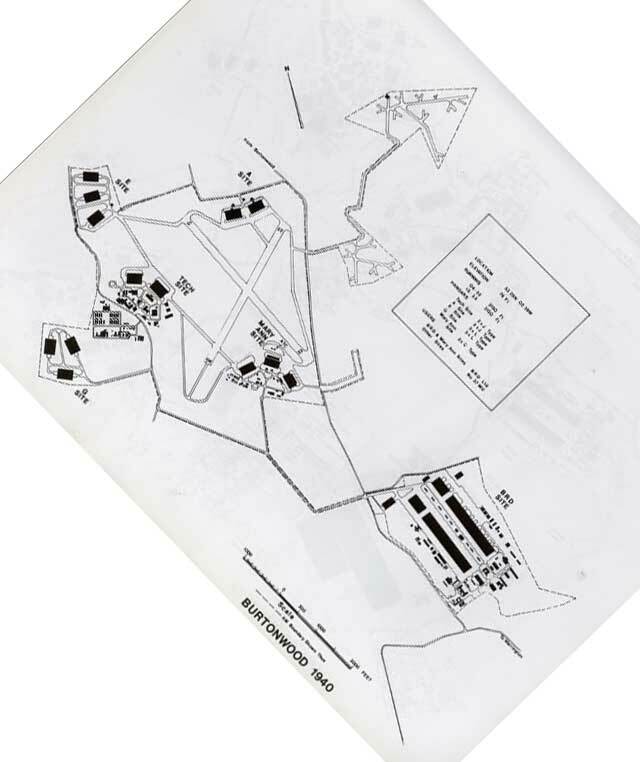 By 1955 the airfield had once again been expanded with a lengthened runway and many warehouses (original scan from AirfieldInformationExchange). A Douglas B-66 Destroyer during an open house in 1955 (photo via Kemon01, on Flickr). 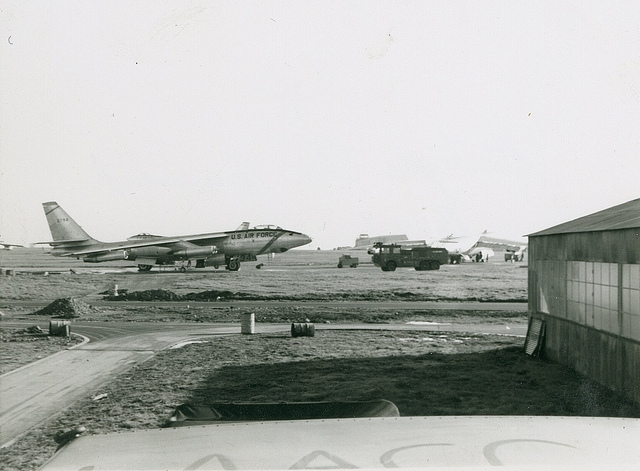 The USAFE demonstration team 'Skyblazers' taxying to the runway at Burtonwood, mid 1950s (smugmug.com). 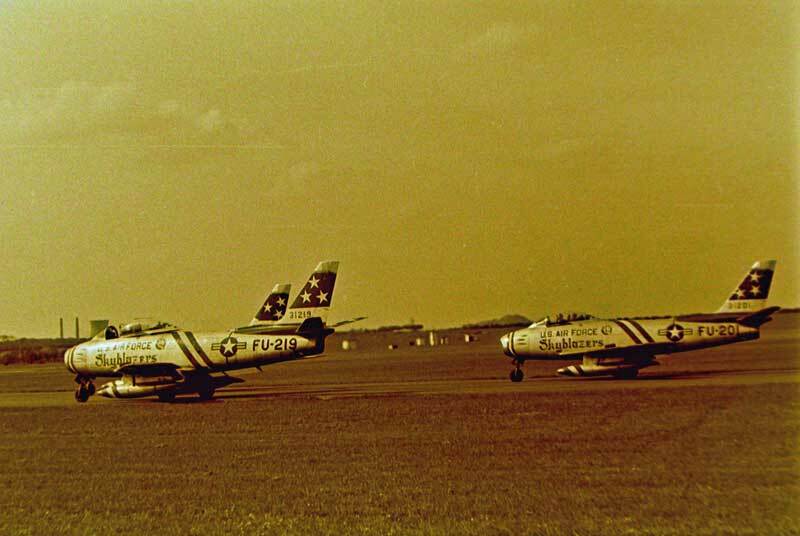 The USAFE demonstration team 'Skyblazers' on the runway at Burtonwood, mid 1950s (smugmug.com). 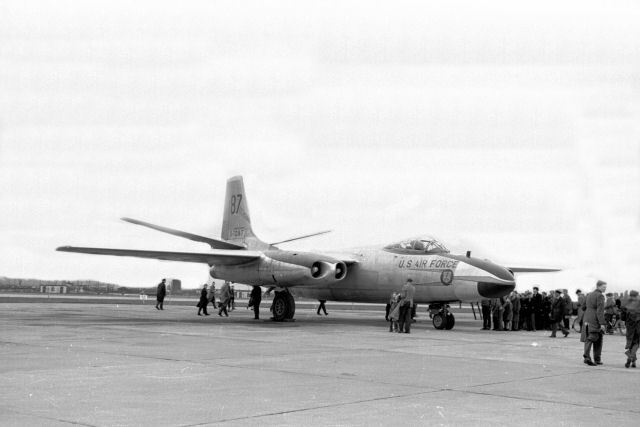 Another B-47 at Burtonwood, ca. 1956 (photo via Kemon01, on Flickr). In 1967 however, the US Army took command, remaining there until its closure in 1993, but occupying only a fraction of the original site. It operated with fixed wing and helicopter communication aircraft until the construction of the M62 motorway over the main runway in 1973. This restricted the depot to the use of helicopters until 1976. 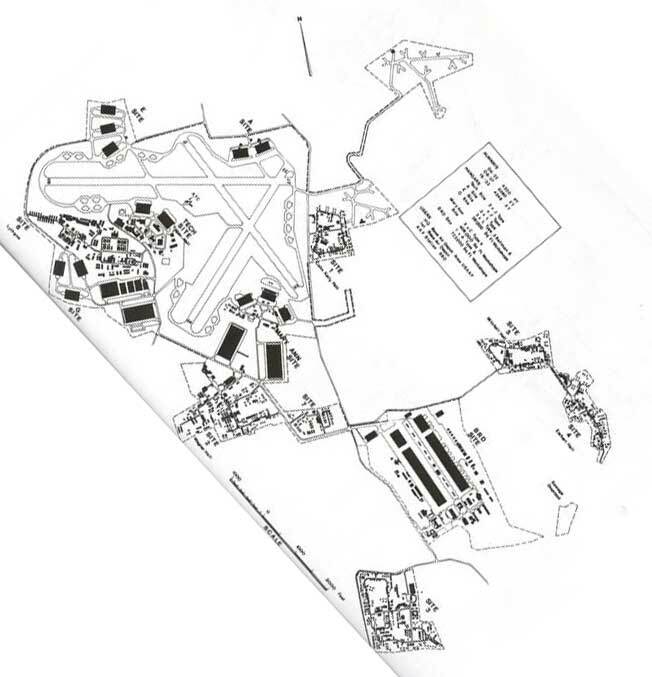 The main part of the airfield was sold in 1982 which led to the removal of most of the remaining runways and hard standings. On 25 September 1983 all flying ceased when 635 Gliding School made its last take off and probably the last ever fixed wing aircraft flight from Burtonwood. In the 6 Feb 1992 DOD Flight Information Publication, Burtonwood was listed as Burtonwood AHP, restricted to Official Business only with 4 hrs PPR amd glider flying on weekends. 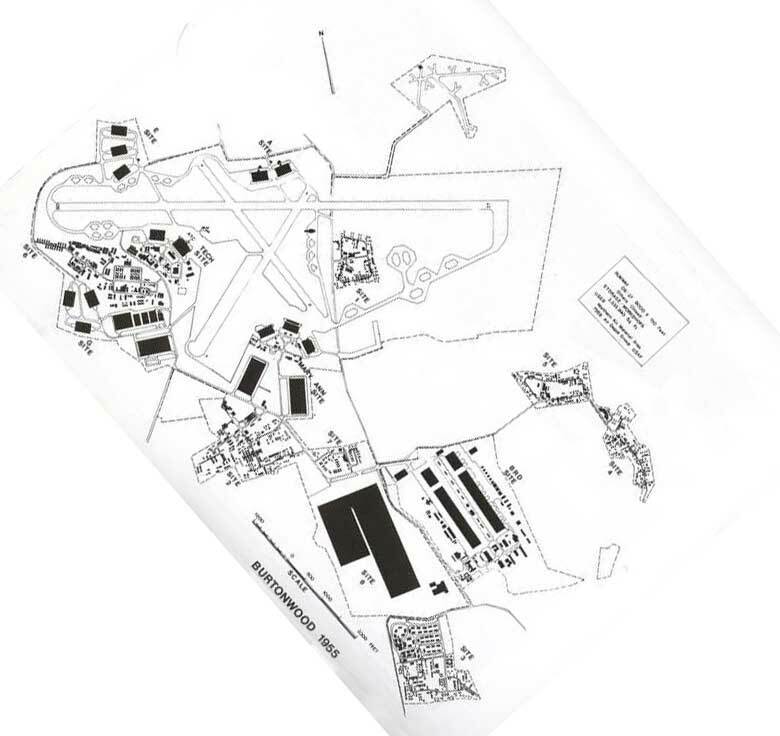 Burtonwood Army Depot was declared excess to NATO requirements and was officially closed in June 1994. 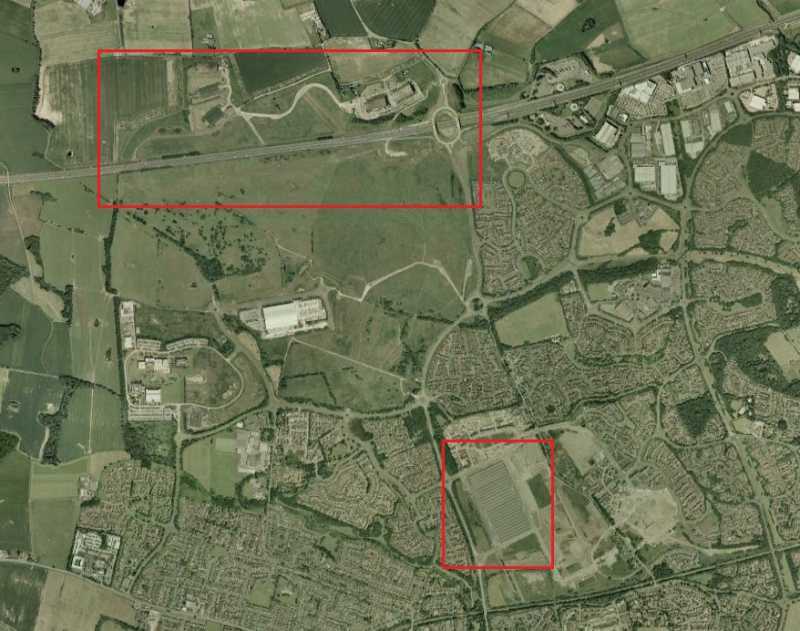 The main sites around the airfield were systematically cleared and used for the construction of a New Town scheme for Warrington. The remaining section of main runway was dug up in July 2001 during the construction of a new motorway junction at that location. In 2002/2003 the first part of Header House (site 8) was also demolished, as the remainder of the site was finally sold off by the Ministry of Defence. It was sold to a development company in what was thought to be the biggest ever land sale to date by the MOD. "A" site and "E" site hangars remained alongside the motorway for several years in use by local companies. They were demolished in November 2008. 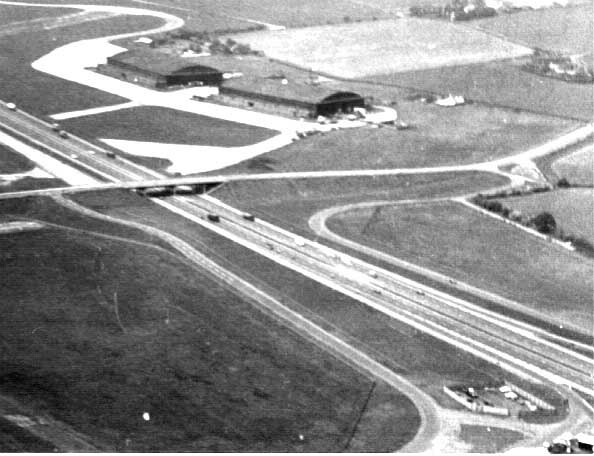 The A-site at Burtonwood in the 1970s, shortly after the main runway had been replaced by the M62 motorway (RAFBurtonwood.org). The second RAF World War II control tower at RAF Burtonwood in June 1983, as seen from the M62 by johnnyjingo, on Flickr. 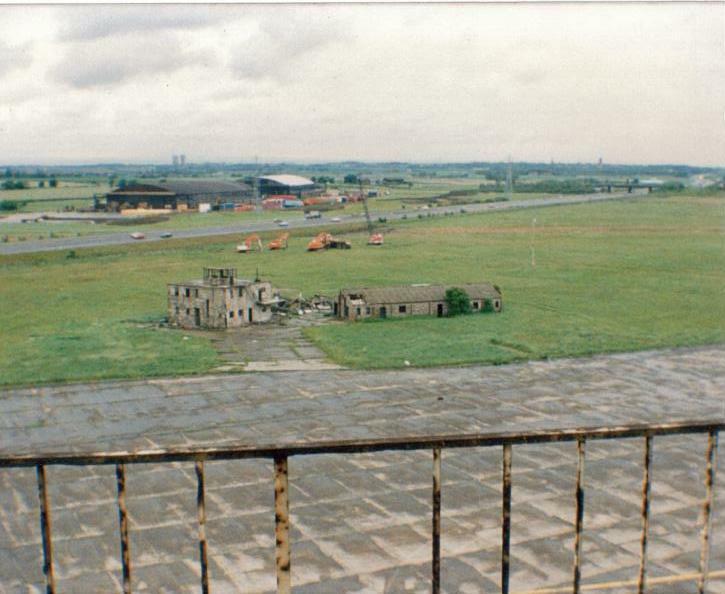 August 1997 view of the 27 runway threshold, replaced with the M62 motorway some 20 years prior. 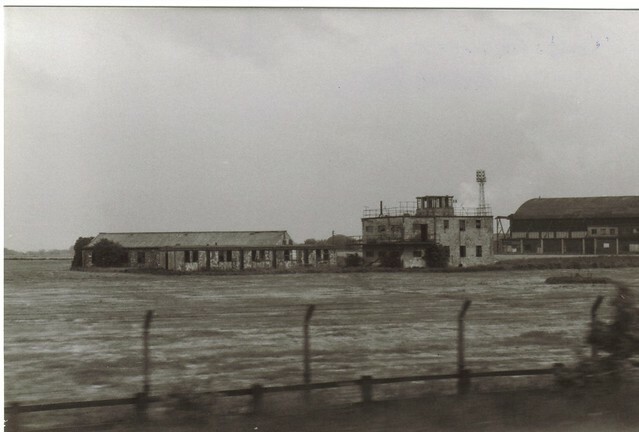 The former A site in the background and the old World War II control tower in the foreground can also be seen (historicaviationmilitary.com). The sole remaining buildings of RAF Burtonwood in 2005. Only 3 years later the last remaining buildings had been cleared (Google Earth). 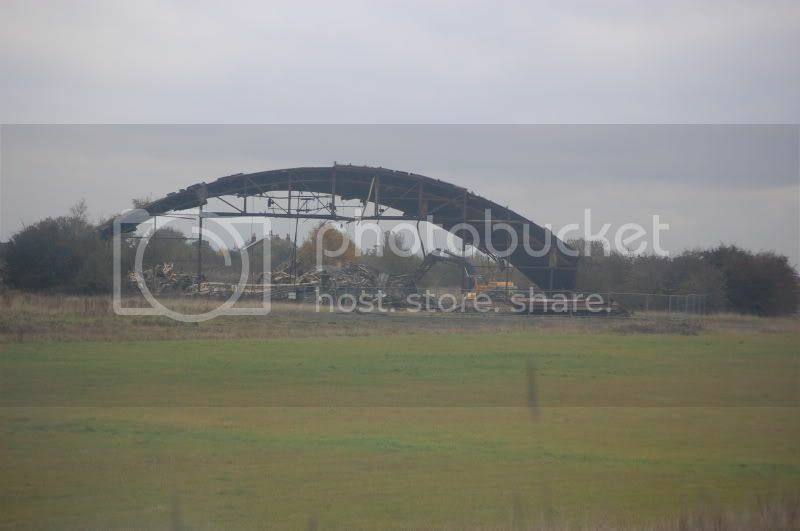 The last remaining hangars were demolished in November 2008.